After the excitement of the boys 1st birthday party we decided to do something a little bit special for Seren's 3rd birthday which didn't involve the chaos and mayhem. 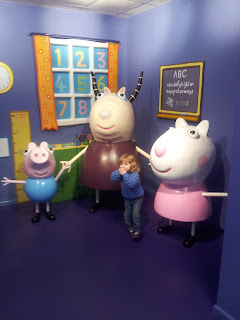 Having read fantastic things about Peppa Pig World we decided we would treat Seren to this, and to ask my parents to look after the boys so we could ensure the time was just about her. 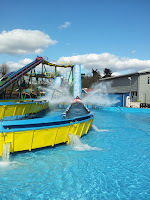 We were lucky enough to book when there was an offer of 2 days for 1, which meant we could take time travelling down and get a whole day over two days rather than cutting time short. We woke on Sunday morning and Seren was so excited, this was the first time she had appreciated her birthday, and had been waiting for it, well basically since Christmas. After a birthday breakfast with my parents, we jumped into the car and headed off. As Seren had been up so early she quickly fell asleep, and although she usually wakes up slightly groggy and sometimes in a bad mood, when we pulled up along the entrance sign to wake her up, her eyes literally sparkled and the classic line "Are we here?!" was uttered. From meeting Peppa and George, Seren really relaxed into it and enjoyed all the rides in Peppa Pig World, whilst the weather was a little overcast on the Sunday, the Park was not too busy, and this meant little queueing for rides and we managed to get on everything, and even rode Grandad Pig's Little Train all on our own (before we realised it was time for us to go home, and the Park to shut). We stayed about five minutes away at the Holiday Inn Express, and the team there couldn't have been more helpful. It was evident at breakfast a lot of families were using this as their base. We had our evening meal near the Park, in a chain pub, again, given it was Mothering Sunday and we hadn't booked we found the place really accommodating and they even sang 'Happy Birthday' which I'd like to say made Seren's day, but I think they'd have to settle with it being the cherry on the top! After managing to take full advantage of the rides and play at Peppa Pig World on the Sunday, we thought we'd start on the Monday by exploring the rest of the Park. 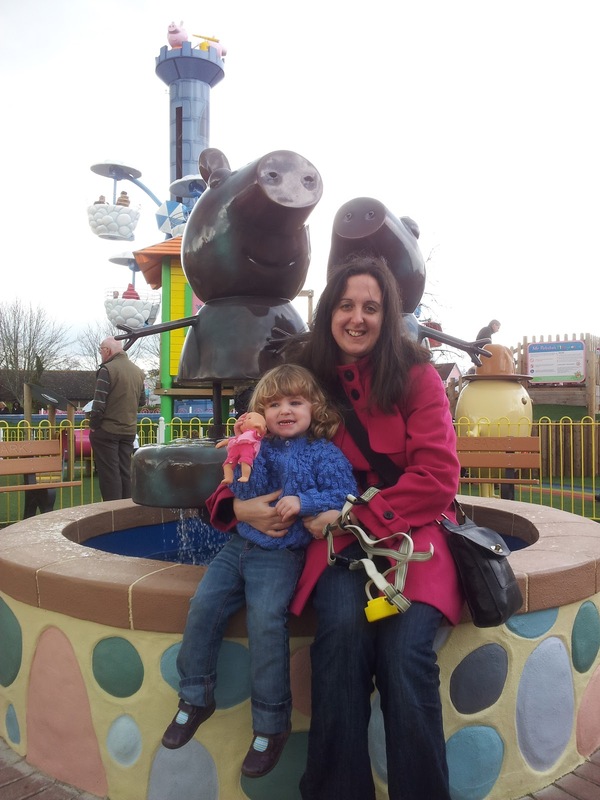 I was really surprised by the amount of great rides it had (I admit I had only heard of Paulton's Park because of Peppa Pig World). It was a time where Seren's height was a bonus, hitting her 3rd birthday she is 98cm, this means (bonus) we didn't have to pay for her as she's not 1m but she could go on the majority of rides as the restrictions are mainly 90cm or 95cm. 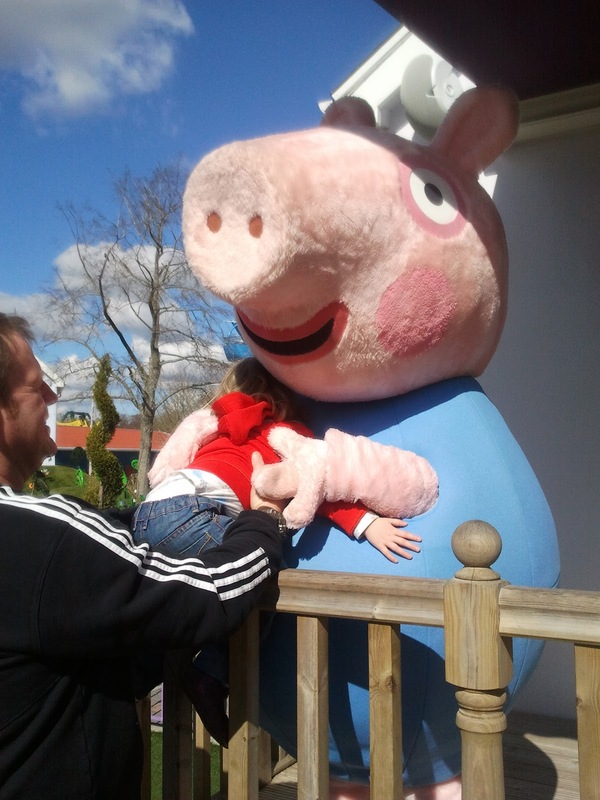 The great thing about the Monday was that whilst Peppa Pig World was quite busy with families with toddlers, the rest of the Park was quite empty. 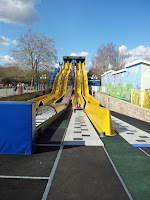 Seren especially loved the Raging River Ride Log Flume, the Wave Runner, the Rollercoasters and the tea cups. The great part was because there were no queues we were able to stay on rides, or alternate parents. 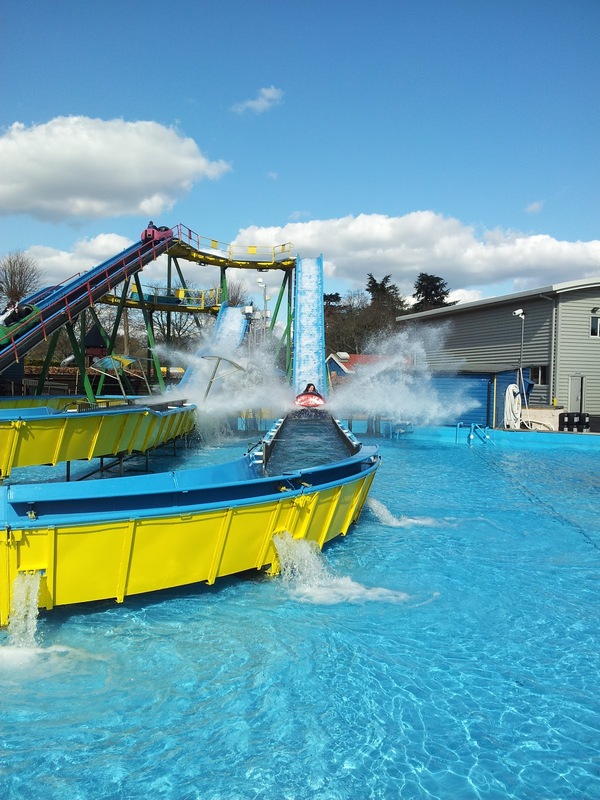 I think before the day was out Seren had been on the log flume eight times, and the wave runner at least four. 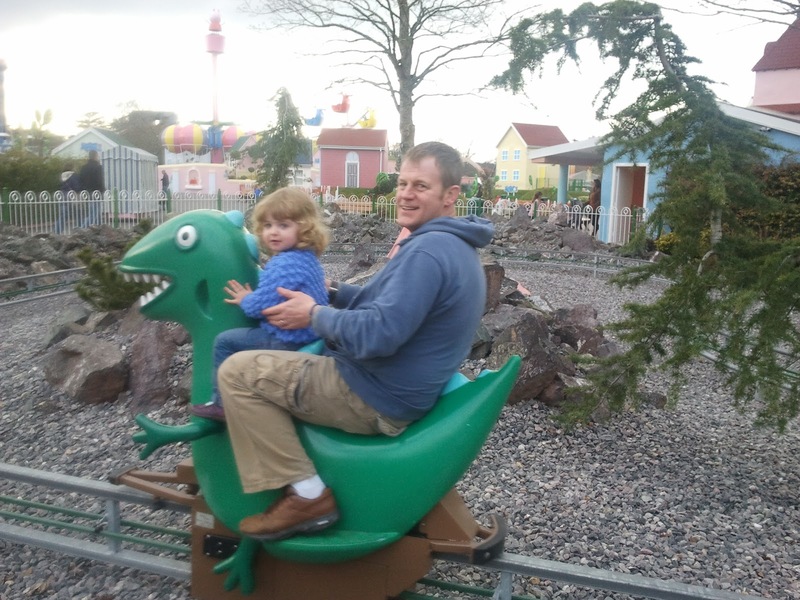 We went back to Peppa Pig World to revisit some of Seren's favourite rides, but by that time we had unleashed 'Seren the fearless' and she was ready for the Pirate Ships before we knew it! It has to be acknowledged that everyone we met who works at the Park was friendly and welcoming, making sure everyone was accommodated. It really does make it that little bit better when people aren't having a bad day (says she of the many bad days). We left around three so we could miss as much traffic as possible. 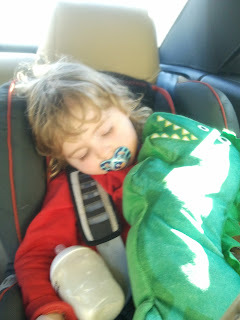 Seren was asleep before we reached the dual carriageway. 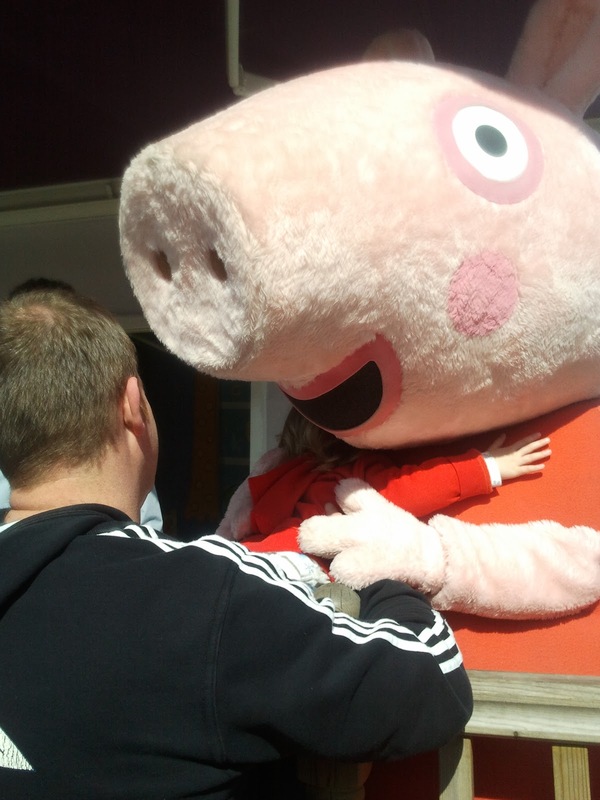 Every day since she has asked when she is going to see Peppa again. We paid just over £100 for this 'break', we are all agreed this was more than worth it. We have roped my parents in to take all three children back when the boys are old (tall) enough. This is not a sponsored post, we just had such an amazing time I wanted to write about it! What great timing! 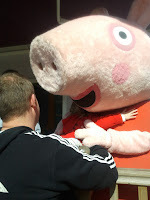 We've been considering adding Paulton's Park to our plans for the summer holidays as our girls lurrrrvvvveeee Peppa Pig. Thanks for the useful post. It sounds like we might be safer giving ourselves two days for this as we'll be going at a fairly busy time of year, so that's really useful to know.